After graduating Villanova University, Dr. Failla received his Doctorate at Palmer College of Chiropractic West in San Jose California, in 1990. Furthering his post graduate education, Dr. Failla completed 300 hours of chiropractic rehabilitation at Northwestern College of Chiropractic. He also completed and is certified in Manipulation under Anesthesia from Texas College of Chiropractic. 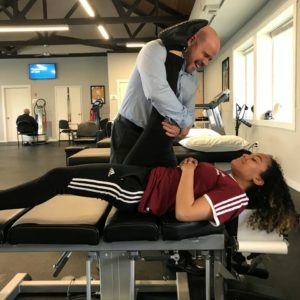 During his years at Palmer, Dr. Failla had the opportunity to intern with The San Francisco 49ers Chiropractor. Also while attending school, he dedicated time with Los Medicos Voladores (The Flying Doctors), traveling and administering care in Central America to the less fortunate.